In this age of individualism, when you have to be your "own man", it seems ironic that a part of our modern psyche still favours groupthink. We feel secure in groups and try not do anything that would make us seem weird to members of our pack. Being in a group somewhat smoothens our transitions in life. This is one of the reasons why even the so-called weird ones desire to stop being the odd one out and become "normal" like everyone else. Funny enough, the obstacles the weird ones face are mostly engineered by those in the group. So we have this nasty machinery that punishes you for not being a part of its makeup, to preserve its identity as well as maintain its stranglehold over you. Now, being part of a hive mind might be for some, but it isn’t necessarily beneficial for everyone. 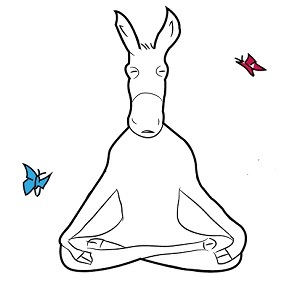 And that very thing that makes us weird might be our succour when everything else fails. Otis Frampton’s work, Oddly Normal (Book 1) illustrates this problem – the difficulties faced by a young girl who sees her uniqueness as a liability, a reason for her hardships and unhappiness. It is hard not to feel sorry for Oddly Normal, a young girl (half-witch, half-human), who feels trapped in a “normal” world. For her, school is the worst place to be. She is picked on, reviled, and shun by other pupils because she looks odd… with her pointy ears, green hair, and her strange name. I mean… who calls their kid, Oddly? Oddly is a daughter to a Mr and Mrs Normal. Oddly’s Dad is human, while her Mum is a witch. Mrs Oddly is supposed to be on assignment from Fignation, a fantasy kingdom in another dimension. Her mission was to scout Earth and report back home. But she has not reported back for years. Instead, she falls in love Mr Normal, marries him and gives birth to Oddly. Thus Mrs Oddly makes Earth her permanent home. Oddly hates everything about her family and her life. She wants to be normal… like everyone else at school. She tries everything to make friends, but no one wants to be seen in her company. One day, the unexpected happens. By a stroke of luck, on her birthday, Oddly unconsciously activates a spell that made her parents disappear as well as materialises her into Fignation, a place she has never been before. At first, Oddly is happy about her good fortune. She believes she is now in the company of people who are, shall we say, “odder” than she was. No longer would she stand out. No more strange stares. No more whispers behind her back. Oddly Normal is one of the best graphic novel I have come across read in recent times. The narration is natural and the art captures the essence of the story and genre. The story is mainly for pre-teens and teens, but adults can enjoy it too. 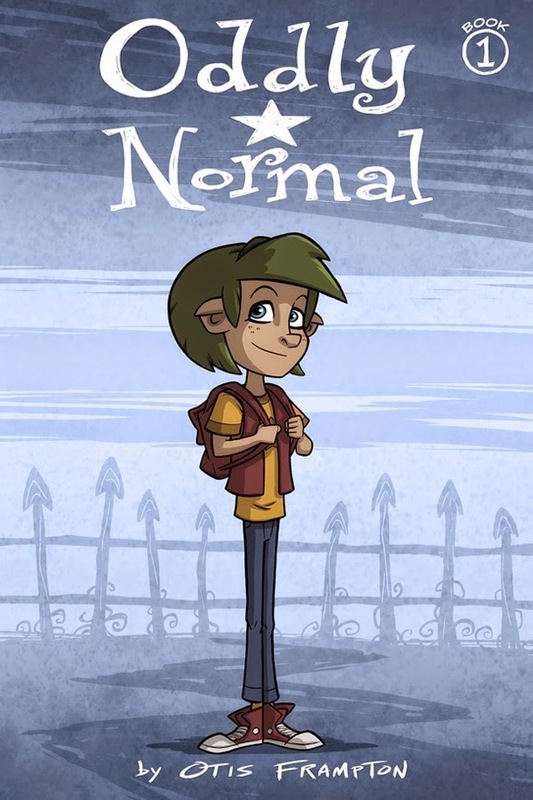 All in all, it is great getting acquainted with Oddly Normal, and it is thanks to Otis Frampton. Oddly Normal is written by Otis Frampton, and published by Image Comics. It will be available to buy in the UK from the 24th of March 2015.